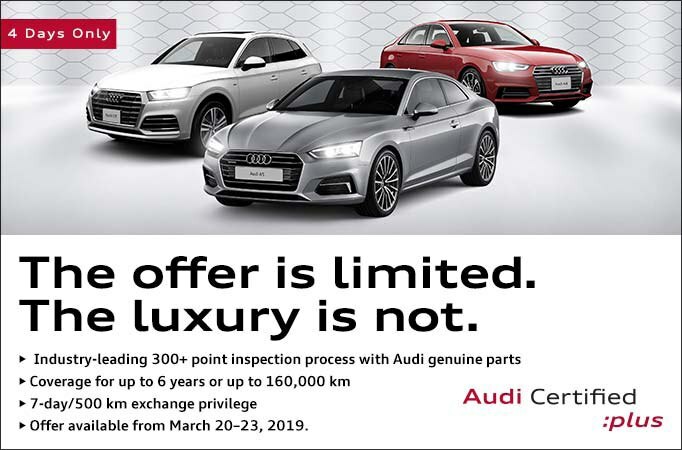 Benefit from the widest selection of original Audi parts and accessories in Toronto when you come to Audi Downtown Toronto in the heart of the GTA. We offer a huge inventory, expert guidance, competitive pricing and regularly updated promotions on parts and accessories. You can even order your needed parts online for maximum convenience. We are your trusted source for Audi components and products in Toronto. Your Audi has been designed, engineered and manufactured to exacting standards. So it only makes sense to treat it to parts, accessories, service and protection that match our factory-best. From alloy wheels to windshield wipers, you’ll find everything you need for your investment at Audi Downtown Toronto. Don’t hesitate to take advantage of our incredible selection of Audi mechanical parts, products and accessories.